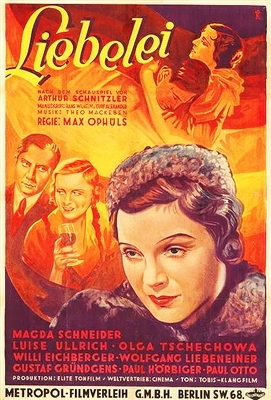 This is a region-free DVD-R without case or artwork. .
Liebelei is one of the earliest of the cinematic banquets directed by German filmmaker Max Ophuls. The film, set in imperial Vienna, concerns the romance between a young girl and a lieutenant. A powerful baron misreads the lieutenant's ardor, assuming that it is being directed towards his own wife. A duel follows which, no matter how it turns out, will spell tragedy for at least one of the characters we care about. The central character is portrayed by Magda Schneider, the mother of 1960s film star Romy Schneider. Great print of a beautiful film. This is a beautiful little movie, full of pathos and heartfelt scenes.